Worst site ever, they dictated what your rating could be. Unless a companion were a Greek lover, you couldn’t give them a 10 rating. I suspect the owners are closeted homosexuals. Like every review site it had/has issues. I am certainly not a TER advocate as I have said many times, but your post is just incorrect. This site too puts limitations in place that some members take exception to--did you yourself not just go off on a rant yesterday or so? The reality is TER was never big in TX, and many of the members and mods there and here had limited cross polination. The David Elms regime there was as disgusting and crooked as you could find--not too dissimilar some who were mods in the later stages of ASPD. The current TER regime still has some of the degenerates left over, just as some ASPD low-lives are on ECCIE, though most seem to be keeping a lower profile. TER will fix some of their issues or they will go extinct. So does that mean TER is back on for the US - this is excellent news I have awesome reviews on there... thanks for the heads up! ppl where TER was the Site to use..
Yeah I searched for it and was all happy and excited and NO ACTION AS OF YET - it would be cool for it to come back up. I still remember what 10 meant "Forgot it was a Service"
well, as long as we have ads in the US we would not be able to have our reviews up. Mine were up... then taken down again once there was a report of one of my ads in another site to ter in the US. I stopped using TER a year ago. Membership started dropping and I would log onto our local site and there were days when no one posted. My reviews were put back up after I told them I moved to another country, and now I see they are back down again too! SMH Oh well its of No Use now! I wish more people in Texas used ter and p411 it was very good to me. When was that? 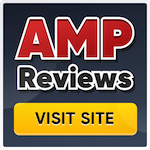 I only had 3 reviews on there from when I first started (I had no idea how to work the site either!) but I never did that and still had 10s. Have they changed that? TER is not a user-friendly site. Posting a review is a complete PIA and I would only do it when specifically asked. I have been getting their “We miss you” emails occasionally over the years. I always felt this way as well. I have been a member there for as long as I've been on ECCIE (almost 10 years) and I think I had only done 3 TER reviews, and one was kicked back to me because they said I rated her too high for a girl that doesn't like DATY. That didn't impact my fun day with her, so why can't I rate the encounter whatever I want. The user interface there was also difficult to work with. I only used TER if I were in a part of the country where this site was less helpful and, like you, I only did a review there if it was requested. I think the site is a train wreck.